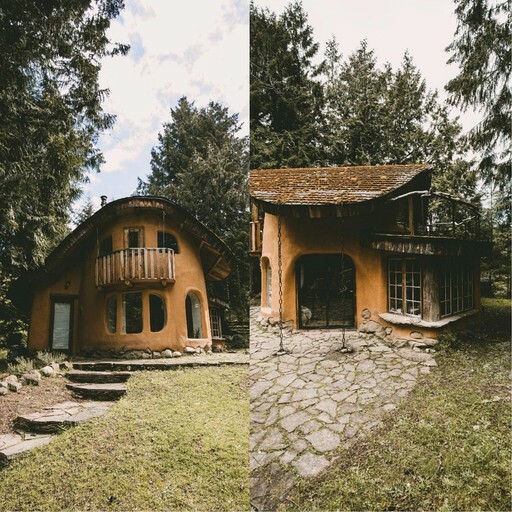 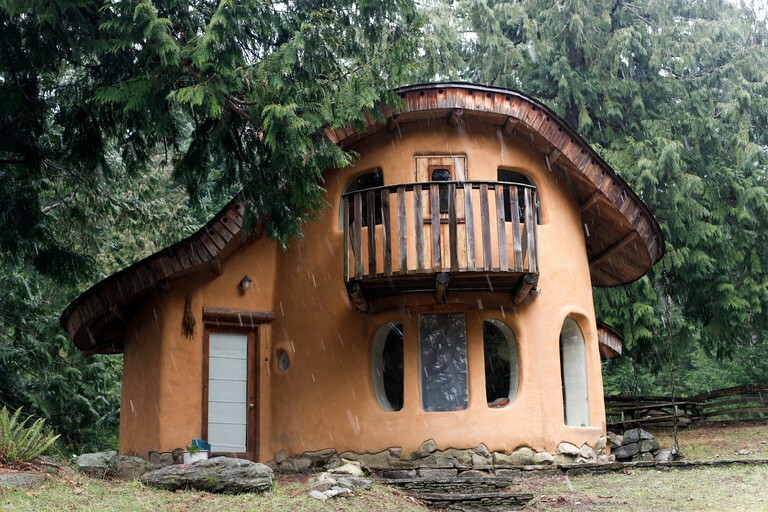 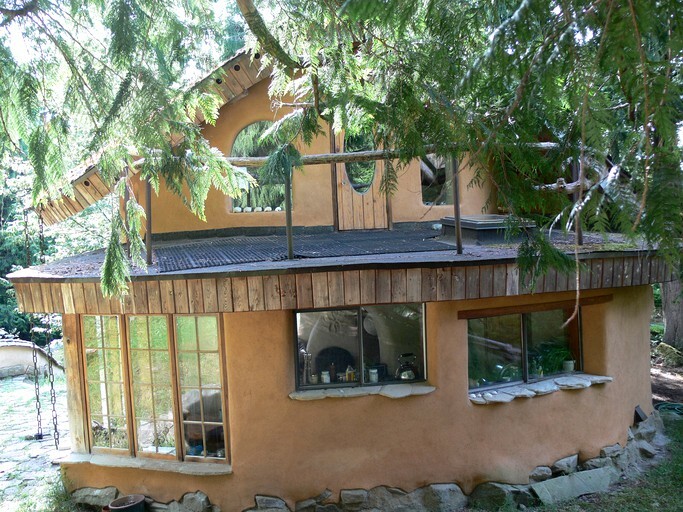 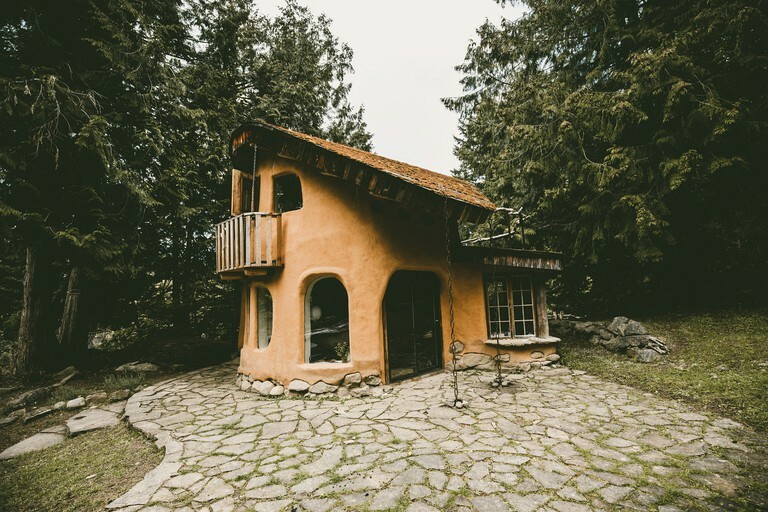 Located off the coast of Vancouver Island, this 650 square-foot rustic cottage rental can sleep up to two guests with one bedroom and one bathroom, perfect for a romantic getaway. 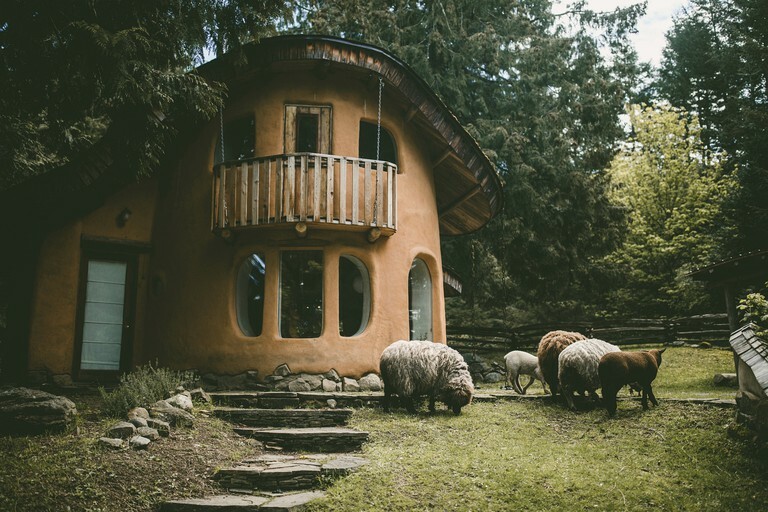 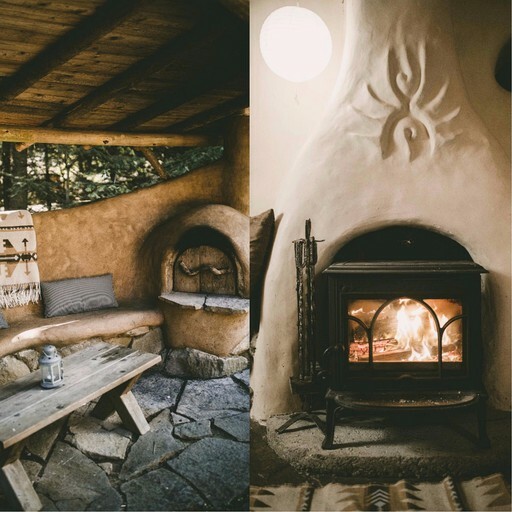 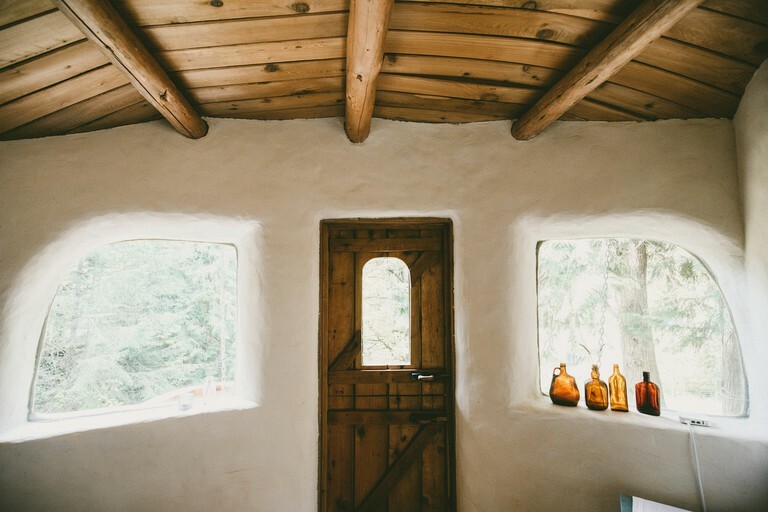 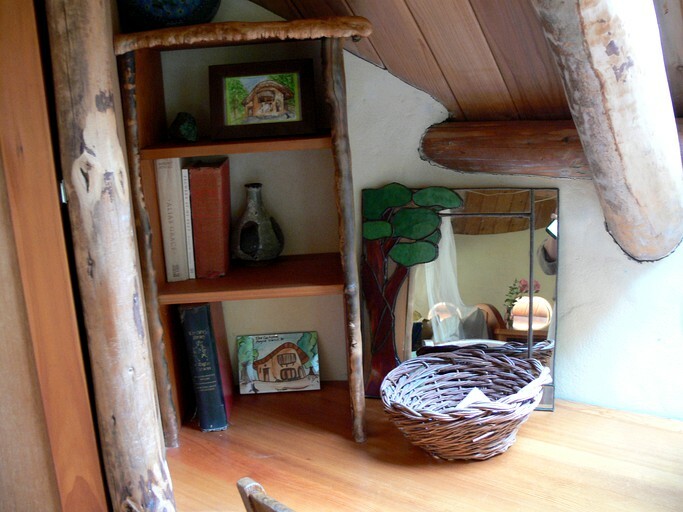 Guests who stay here can enjoy a welcoming and cozy retreat, hand sculpted of local, sustainable natural materials located on a lovely acreage and surrounded by sheep, gardens, and orchards. 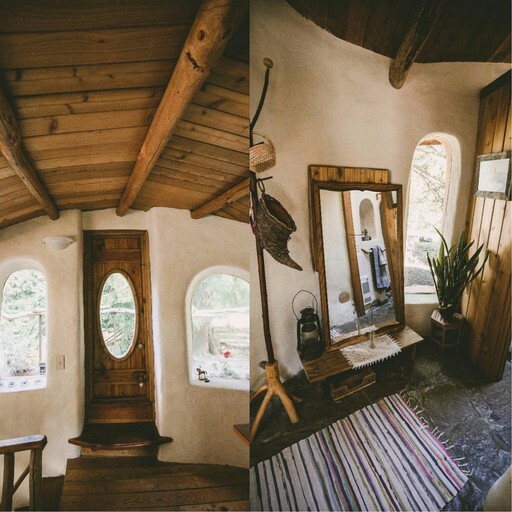 Downstairs, guests will have a well-equipped kitchen and a breakfast nook, both decorated with an eclectic mix of vintage and handmade features. 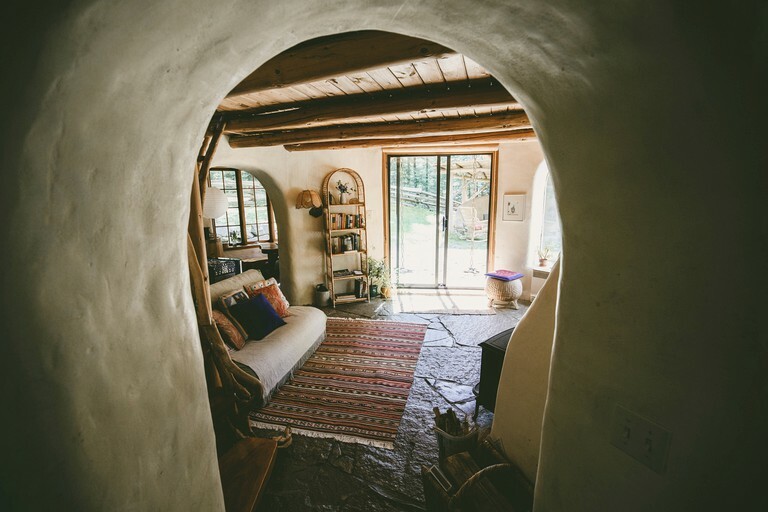 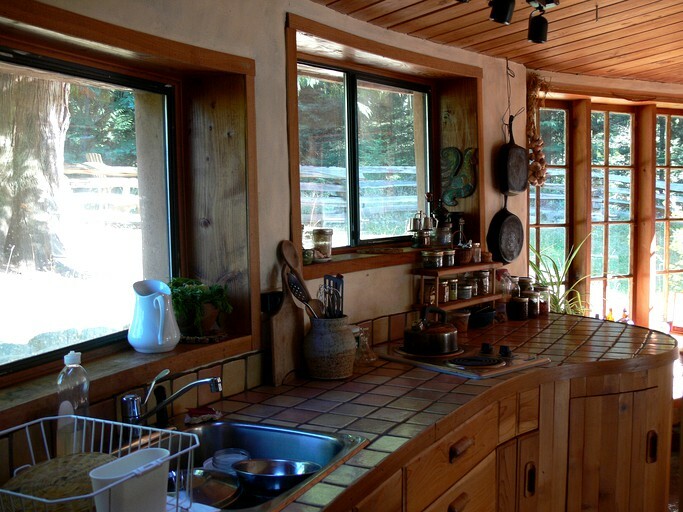 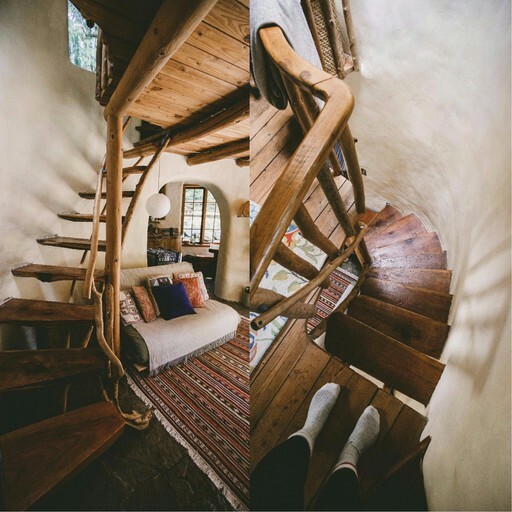 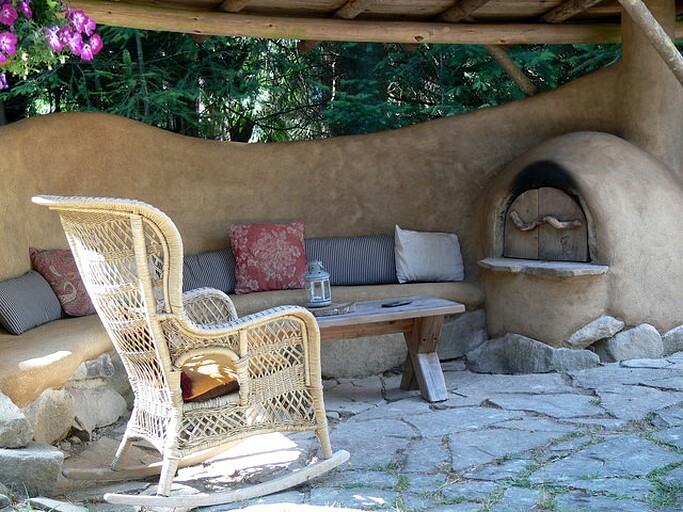 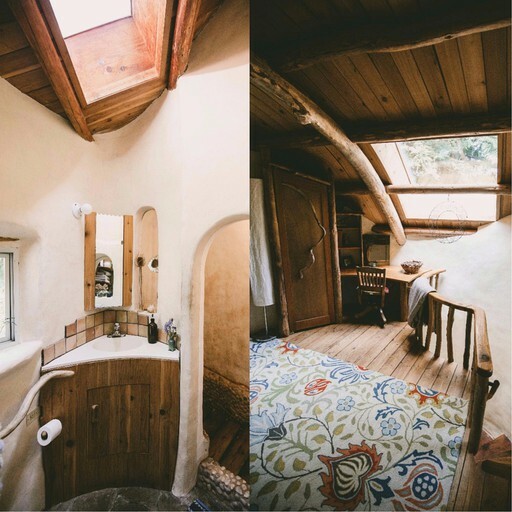 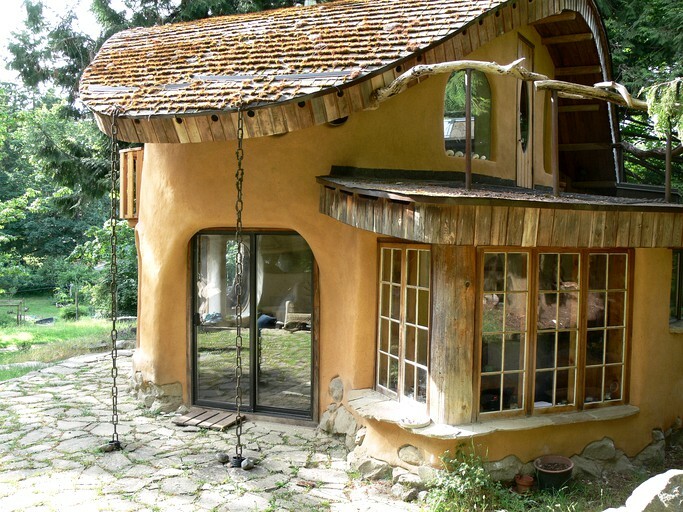 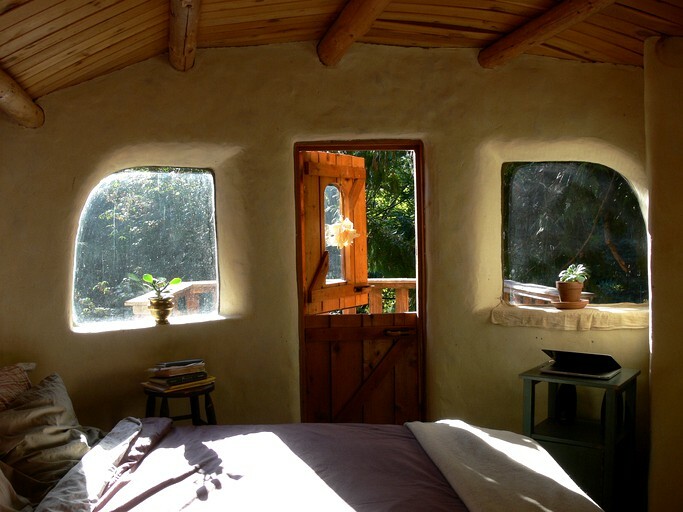 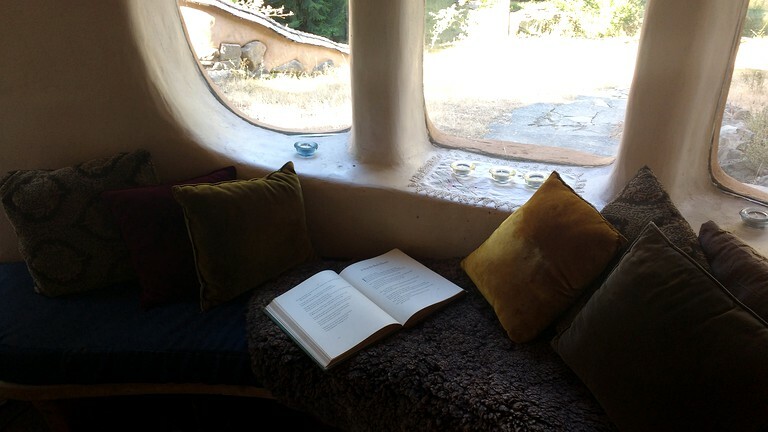 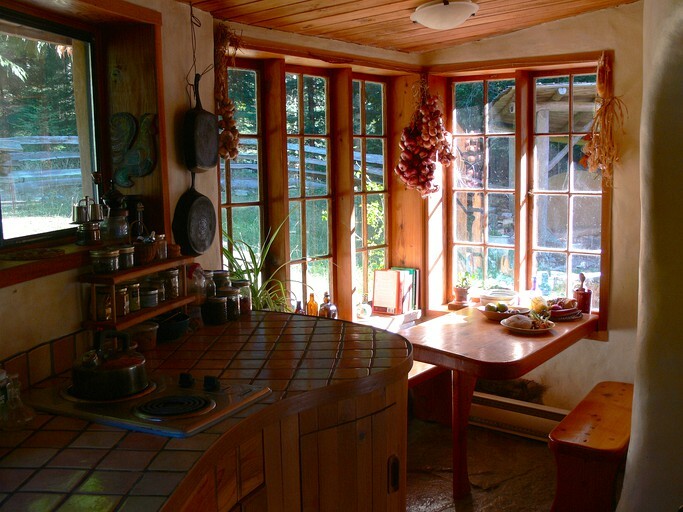 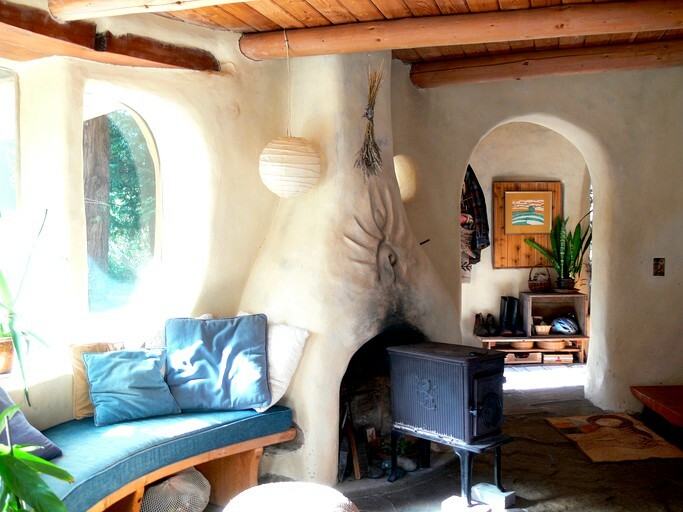 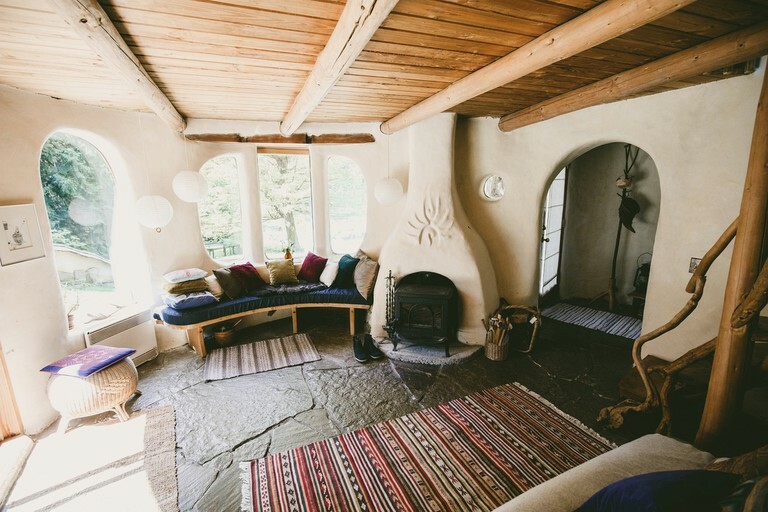 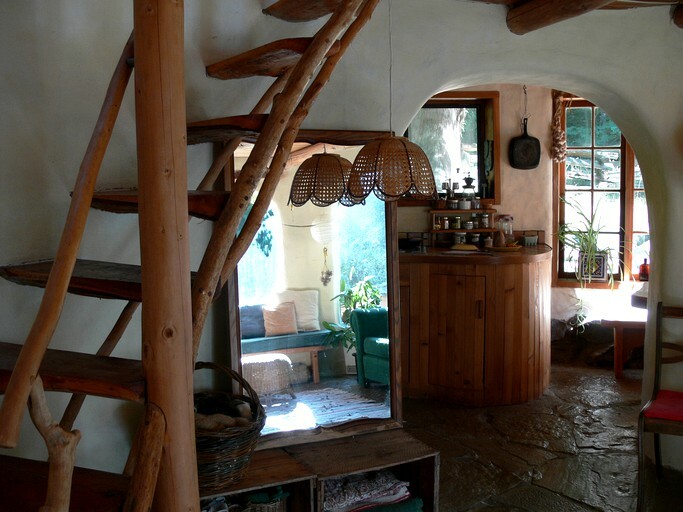 Alongside the kitchen is a woodstove and a massive cob chimney, which create a cozy window seat for enjoying tea and a book. 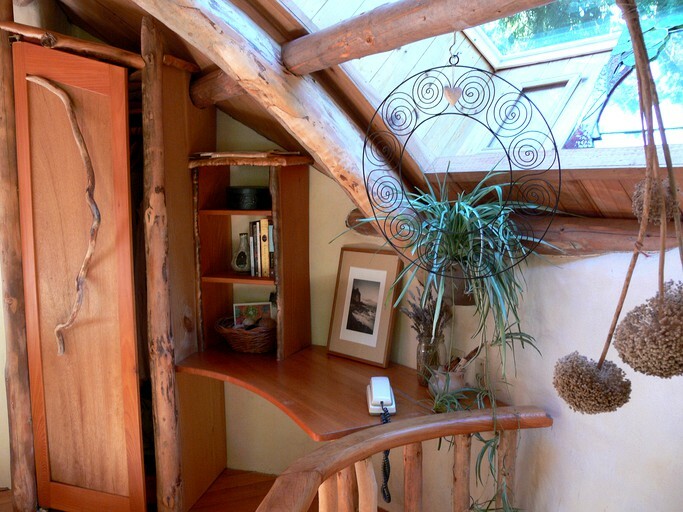 Guests will find cantilevered stairs, made of massive slabs of Douglas fir, which curve up to the bedroom. 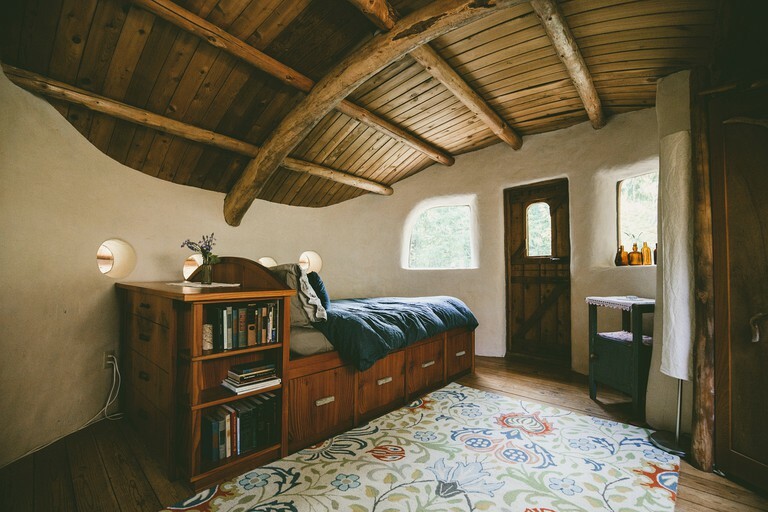 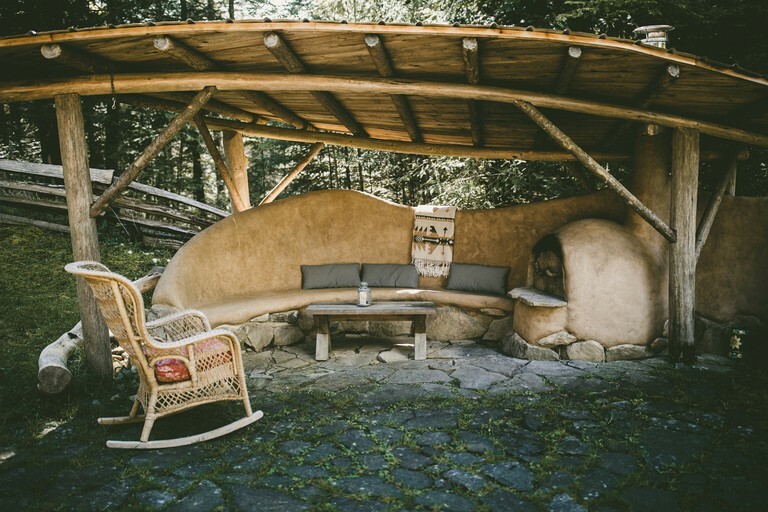 Here, glampers will enjoy a cozy bedroom with an arched roof and curved walls, which both embrace a double-size bed created by a local, master woodworker. 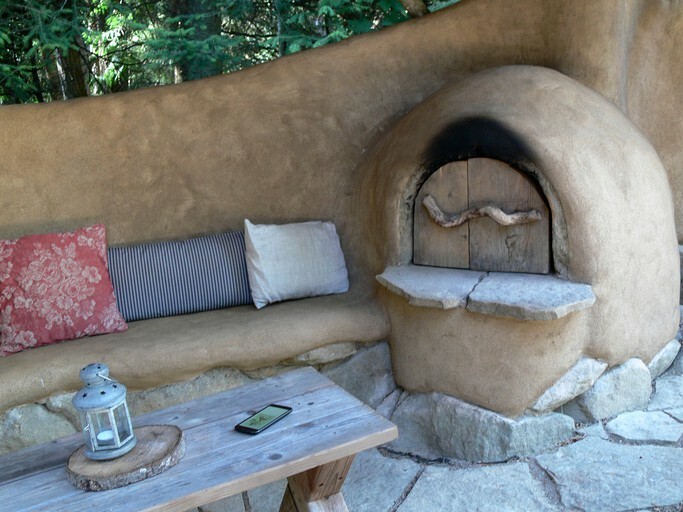 Guests who stay here will have a clothes dryer, heating, and Wi-Fi. 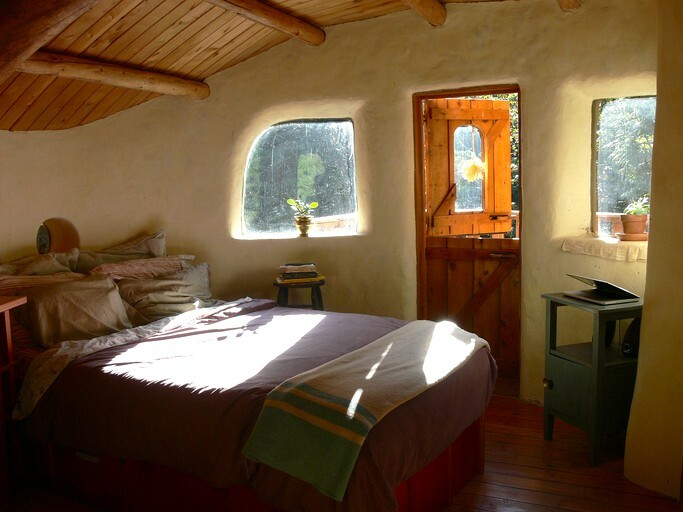 Furthermore, guests will have towels and linens provided, as well as an iron and ironing board. 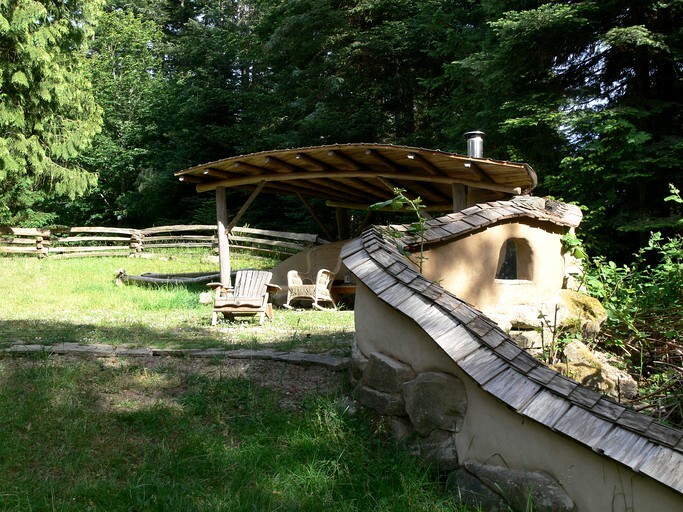 Guests here will enjoy parking, as well as a washing machine and a wood-burning stove. 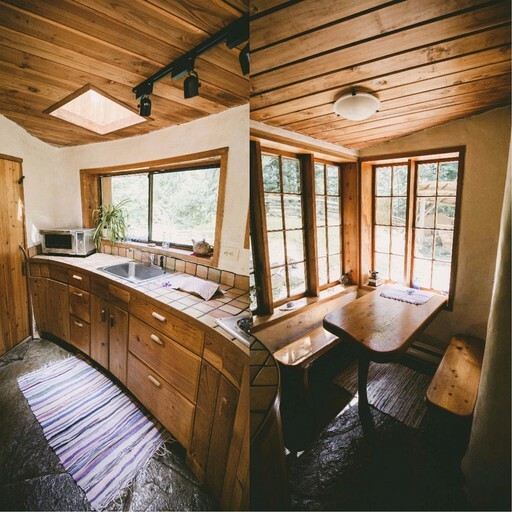 Catering is available at this property, and breakfast can be provided, both upon submitting a booking request with the host. 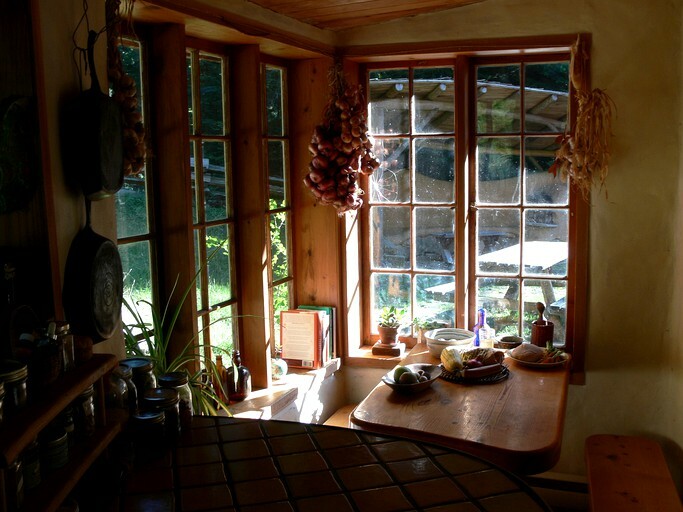 Please contact the host for further information on meal plans. 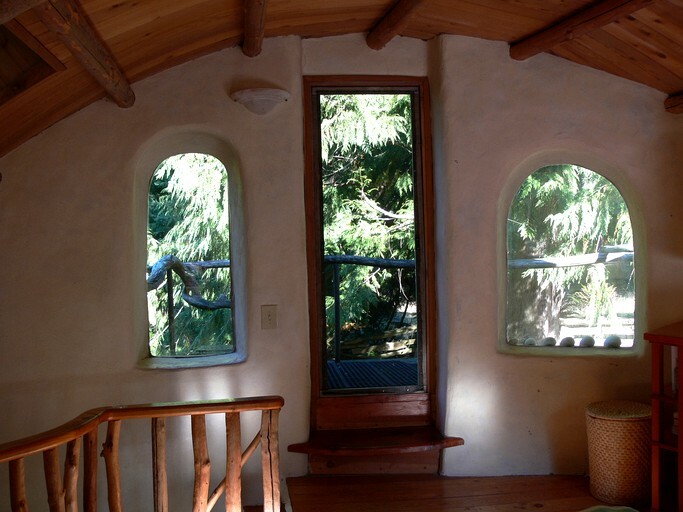 Guests who stay here will be a ten-minute walk to a beach with a boat launch. 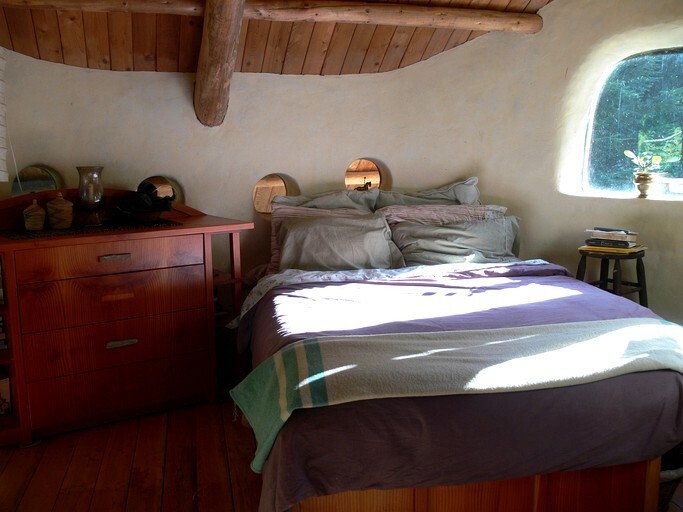 The surrounding small islands and bays are popular with kayakers and canoers. 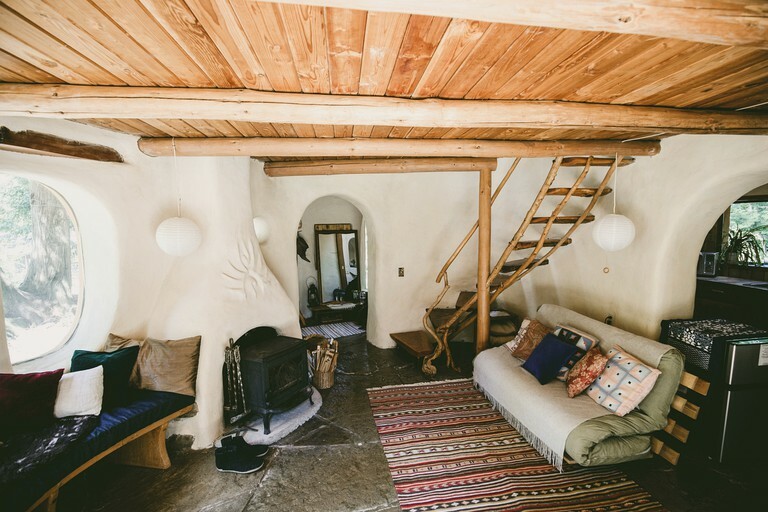 This property is also a 15-minute walk to a family grocery specializing in local organic produce as well as several small galleries and a fun bookstore. 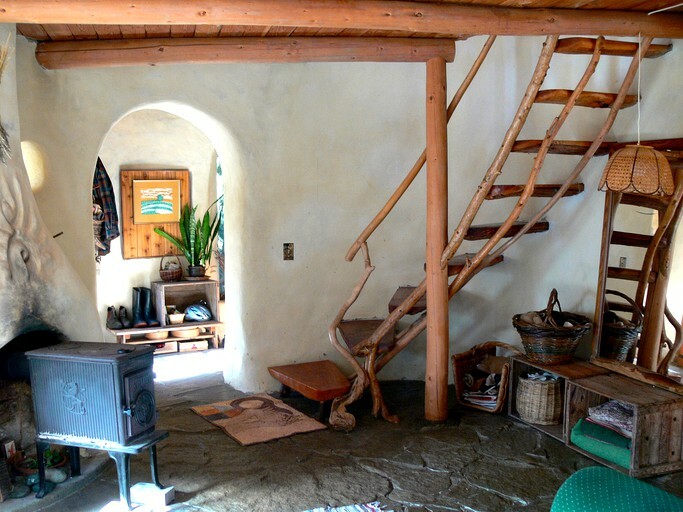 Guests looking for some relaxing activities can enjoy beachcombing, bird watching and horseback riding nearby. 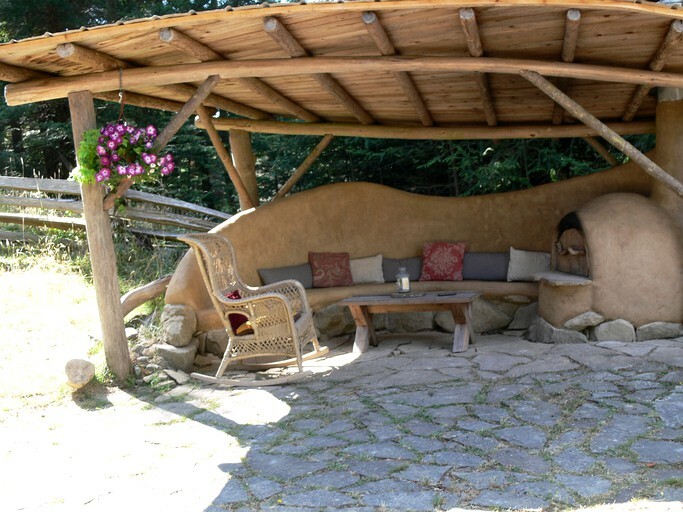 Furthermore, guests will enjoy horseshoes, photography and lovely scenic drives along the islands' coast. 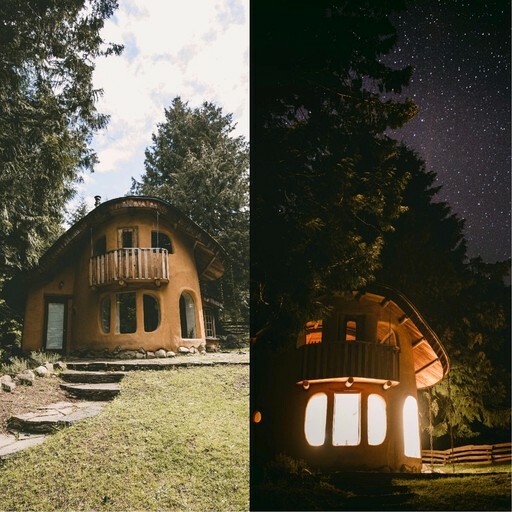 For more adventurous activities, guests can enjoy everything from cycling, deep sea fishing, scuba diving and water skiing. 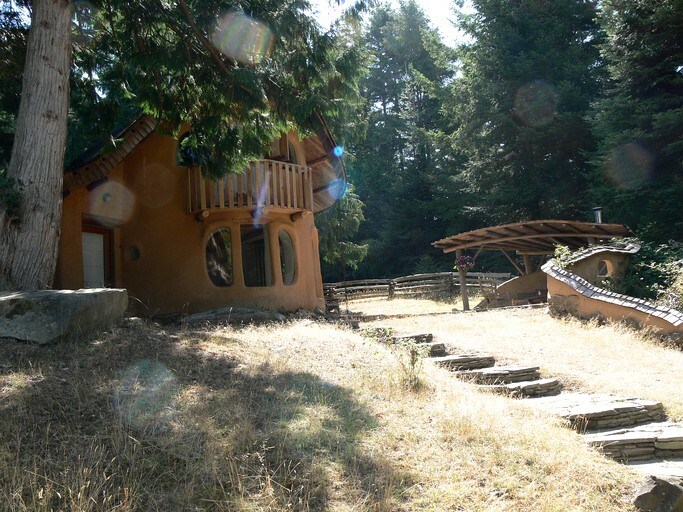 This property is non-smoking only, not suitable for children, and pets are not allowed. 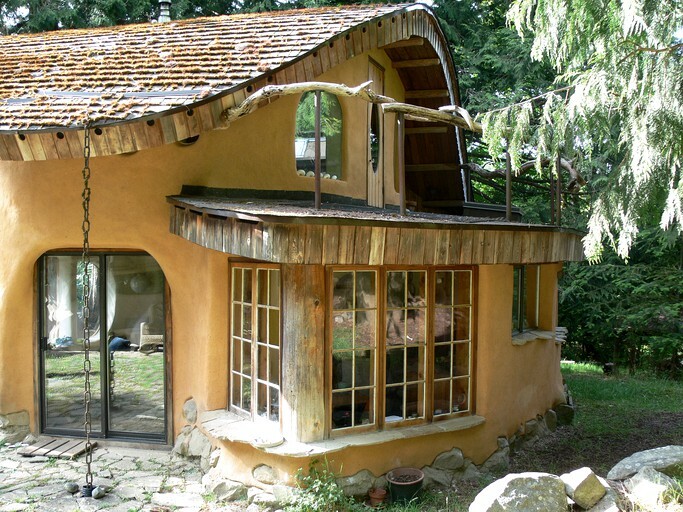 This cottage is wheelchair accessible.